Allen Leon Caldwell, 79, of Indianapolis, passed away at 8:40 p.m. Monday, January 21, 2019, at his home. Allen was born on November 1, 1939, in Jennings County, Indiana, the son of Walter and Ethel (Arbuckle) Caldwell. He married Jackie Anderson on June 5, 1959, in Indianapolis. She survives. 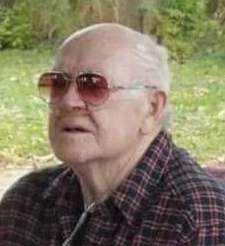 He is also survived by one daughter- Penny Caldwell of Indianapolis; one son- Timothy Caldwell of Indianapolis; two grandchildren- Amanda Caldwell and Ashley Wemer; four great-grandchildren- Abby, Klowie, Isaiah and Yvonne; one sister- Beulah Hopkins of Lexington, Kentucky; and several nieces and nephews. He was preceded in death by his parents, two son- Tony Caldwell and an infant son, three brothers- William, Don and Bob Caldwell, one sister-Mildred Stroub. Allen was a member of Garfield Park Baptist Church, where he was very involved in constructing and working in the food pantry. He was also a member of #714 Prospect Masonic Lodge, Murat Shrine, Jobes Daughter’s and Scottish Rite. Allen enjoyed fishing, camping, tinkering around, gardening, planting tomatoes and sitting on his rock and watching the world. His greatest enjoyment was spending time with his family and grandchildren. Visitation will be from 12:00 p.m. to 2:00 p.m. Saturday, January 26, 2018, at the Garfield Park Baptist Church, 1061 E. Southern Avenue, Indianapolis, IN, with a 2:00 p.m. service to immediately follow the visitation. Cremation rites will follow the service. In lieu of flowers memorials may be made to the Garfield Park Baptist Church Food Pantry. The family has entrusted the Norman F. Chance Funeral Home and Cremation Service to assist them in honoring Allen’s life. Memories or photos may be shared with the family on his everlasting memorial page at: www.ChanceFuneralHome.com.